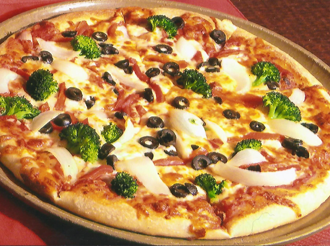 Superb Italian Cuisine - There’s no secret to the success of Supino’s. Ends 3/15 – Vote for your favorite kid’s pizza drawing. The winner wins a $25 gift certificate. The choices are broad. The variety is wide. And the portions are generous. Traditional Italian favorites include Chicken Parmigiana, Lasagna, Eggplant Parmigiana, Chicken Broccoli and Ziti, Pasta with meatballs, and more. Try to leave room for dessert. You’ll find we take extra preparation that makes a huge difference in taste. Every dessert is big enough to share. If you’re an ice cream devotee, you’ll love the smooth texture and great flavors of Richardson's Dairy ice cream, made nearby in Middleton, Massachusetts. Keno. 16 large screen TVs. 14 beers on tap, plus several hand crafted brews. Domestic and imports? Of course. Plus a great selection of wine and mixed cocktails. If you prefer eating in the bar or lounge, the full dining room menu is available. There’s live entertainment on Saturday nights. 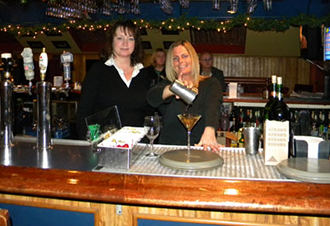 Supino’s can accommodate private parties and functions for groups up to 100. From super casual to more formal, Supino’s has you covered. Birthday parties, business meetings, retirement parties, and more – either at your location or in our function rooms. Party platters and Pizza are popular – and freshly made up, too. The restaurant opened in 1972. Al and Rose Supino were committed to building a tradition for hospitality and great Italian food. Older sister Debra and brothers Ron and Albert came on board when they were still quite young. They worked in every area of the restaurant, from busing tables to washing dishes. It was a hands-on experience that helped them deepen their knowledge in every aspect of the operation. The 3 siblings oversaw the expansion of Supino’s. The community’s support has definitely made Supino’s a “go to” place. It’s one of the most popular restaurants along the North Shore – and a favorite for visitors, as well. Please note: prices are subject to change. Please contact Supino's with questions. The Italian cuisine you love inside can be purchased as Take Out. You’ll be a hero when you come rolling home with hot, fresh food from Supino’s. The full menu is available for delivery until 10:00pm. There’s no charge for delivery if your location is in Danvers, Middleton, Boxford or Topsfield, Massachusetts. We also have free delivery in parts of Beverly and Peabody, MA. 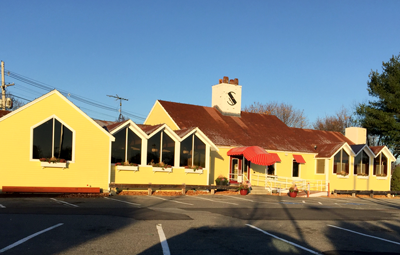 Supino’s is located right off Route 1. South on the corner of Route 1 and Route 62 There’s plenty of free parking. We’re open 7 days a week. The kitchen opens at 11 a.m. and closes at midnight. The bar’s open until 1 a.m.
We have room for a lot of people (up to 240, to be exact). The parking lot often looks pretty full, but that doesn’t necessarily mean we’re at capacity. Come on in!